4.5 stars rounded up for a great decision to have a new series linked to the Railers! This is an absolutely excellent read – and such a brilliant idea to follow the next generation of hockey stars following a Ryker, whose father and lover featured in the Railers’ series (which you should definitely read if you haven't). Having the dynasty in place, and the fact that they had been open about their sexuality, makes this a much less tense read for the wrong reasons and a great read for the right ones. Although this is set in college days, I would say that many issues are as adult as in any book, but some of the preconceptions are more relevant to youth. Jacob's anger at Ryker's being handed everything on a plate – and Ryker's lack of awareness that this was an issue. It was thanks to that innocence that the future relationship seemed much more real and grounded. It was also a great lesson in differing priorities and wants. Jacob may have had a hardworking, simple life, but he recognises his obligations to the family ranch and that hockey will pay for him to study and improve the farm. His devotion and dedication to both his parents, his heritage, and his future is inspiring and courageous. It is lovely to see how his relationship with his father grows through the book. I definitely recommend this book to you – as an enjoyable and hopeful book of two young men who overcome their preconceptions and form a strong bond. I look forward to Scott's story. Jacob and Ryker come from very different backgrounds. We have a chance to get to know each of them before they meet and I liked both men. Jacob comes from a farming background that struggles with money and has had to work for everything in life and Ryker comes from a hockey family with money and seems to have it all. Jacob does not react well to Ryker’s wealth and comparative easy life when they first meet at a training camp and end up roommates. I didn’t like Jacob’s jealous judgment of Ryker but because we’d already been introduced to Jacob I understood where he was coming from, even though I didn’t agree with his position. I enjoyed the way Ryker was so interested in Jacob and persistent in getting to know him. Both men face making decisions about their lives that will affect their futures and I think the authors did an excellent job of portraying two college guys trying to juggle school, romance, hockey, and work responsibilities. The ups and downs of this romance had my emotions going in all different directions. I wanted these guys to get it together. As is often the case, the harder our heroes struggle to reach the happy ending, the sweeter it is and that is definitely true in this case. When the story came to an end, I felt like it was just the beginning and there would be more to their story. I love Ryker and I very much hope that the authors write further stories about Ryker and Jacob so we can see where their lives go from here. I loved this book! The first story in this new Harrisburg Railers spinoff series belongs to Jared’s son Ryker and his college hockey career. I love the characters in this story and I love the way the new series weaves around the Railers books. Ryker is fabulous. He’s privileged and loved and so close to perfect that I really wanted to hate him. But he’s also kind and humble and dealing with the pressure of an enormous family legacy. Interestingly, it is Jacob – with the massive chip on his shoulder – who I struggled to warm to. Dedicated and driven, Jacob is quick to judge and he keeps himself apart from the other players. Ryker and Jacob are wonderful together. They have brilliant chemistry, but they are also friends and teammates. I love the intensity of their new adult emotions. This book is full of everything I love about new adult romance. I love the boys’ dreams, their ambitions, and their sense of potential. I love the intensity of their emotions and the way they wrestle with their identities. When I requested this story, I didn’t realise it was a spinoff from the Harrisburg Railers books. It starts before the most recent Railers book and I anxiously held my breath through the first three quarters, hoping to learn more about the huge twist at the end of the last book. Sadly, this book doesn’t take readers much further in the Railers timeline, but we do get to see things from a different perspective. 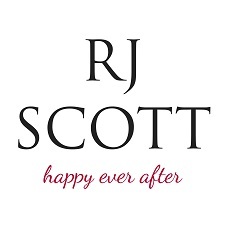 Reviewers on the Wicked Reads Review Team were provided a free copy of Ryker (Owatonna U Hockey #1) by R.J. Scott & V.L. Locey to read and review for this tour.